The new Accordi Disaccordi's album, published on May 29, 2015. 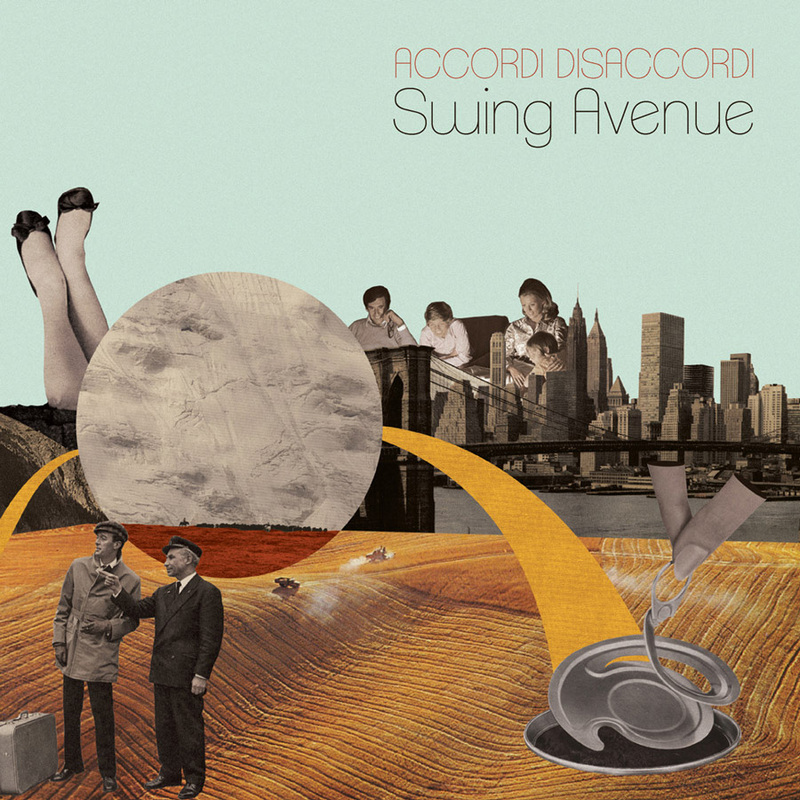 "Swing Avenue" is the new album by Accordi Disaccordi, produced entirely in Italy, released about two years after the previous "Bouncing Vibes" CD. This work too contains swing and jazz standards and rearrangements of modern songs, even pop and not strictly jazz, according to a personal interpretation that they themselves like to call "hot Italian swing", taking constant inspiration from the style of the popular guitarist Django Reinhardt. It contains two brand new songs , "Spaghetti Killer" and "Tangology", written by Alessandro Di Virgilio. Accordi Disaccordi are Alessandro Di Virgilio on lead guitar and Dario Berlucchi on rhythm guitar and in this occasion they collaborated with four other great musicians: Emanuele Cisi on saxophone, Luca Curcio on dublebass and cello, Isabella Rizzo on doublebass and Giacomo Smith on clarinet. The CD has been recorded and mastered by Gianluca "Johnny" Barbato, with the invaluable assistance of Midi Music Torino and RØDE Microphones. Concept and graphic art by Stefano Brizzi (breadandpixels.it). Luca Curcio play doublebass and cello in "I'll See You in My Dreams", "Waltz for Django", "Tangology", "Buonasera signorina", "La valse d'Amélie", "Lullaby of Birdland" and "Dead Man Theme"
Isabella Rizzo play doublebass in "Spaghetti Killer", "Elena's Bossa", "Dinette", "Hungaria", "Out of Nowhere", "How High the Moon" and "Si tu vois ma mère"
Giacomo Smith play clarinet in "Dinette" and "Si tu vois ma mère"
© 2017 Accordi Disaccordi, all rights reserved.